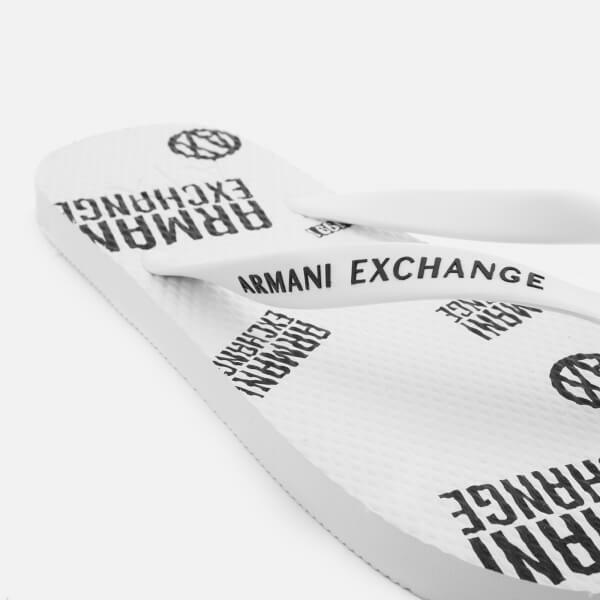 Men’s white flip flops with a bold all over print from Armani Exchange. 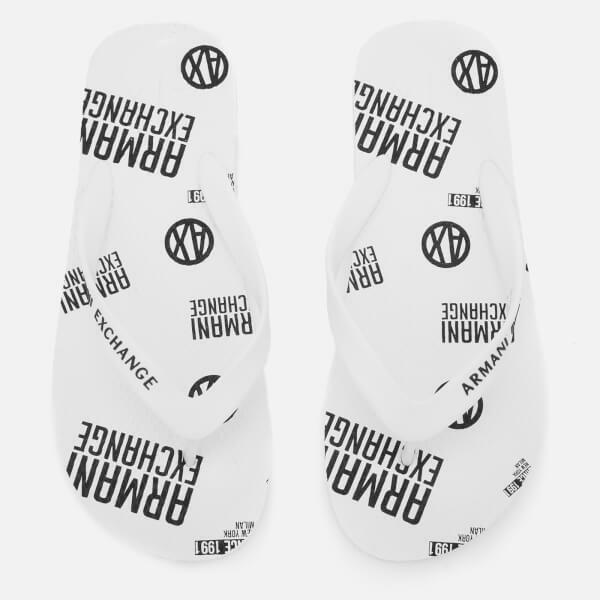 The flip flops are designed with a classic toe thong, an all over Armani Exchange print on the textured footbed and a signature logo debossed to the heel. 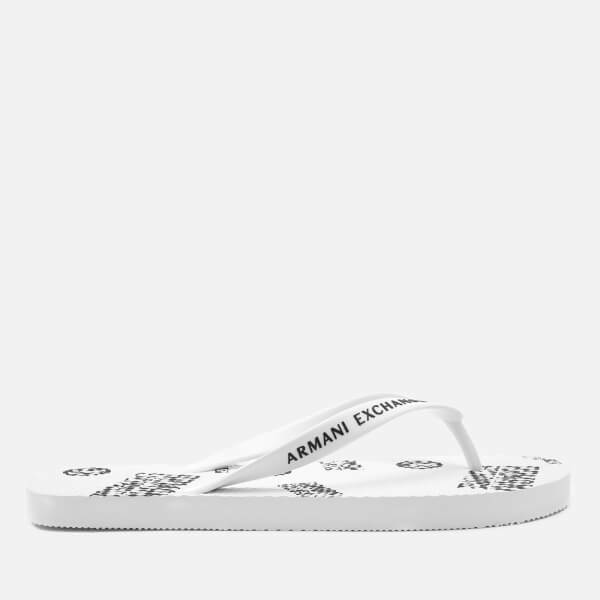 Complete with a signature logo print on the strap.